Sometimes, the least threatening suspects are the hardest ones to catch. 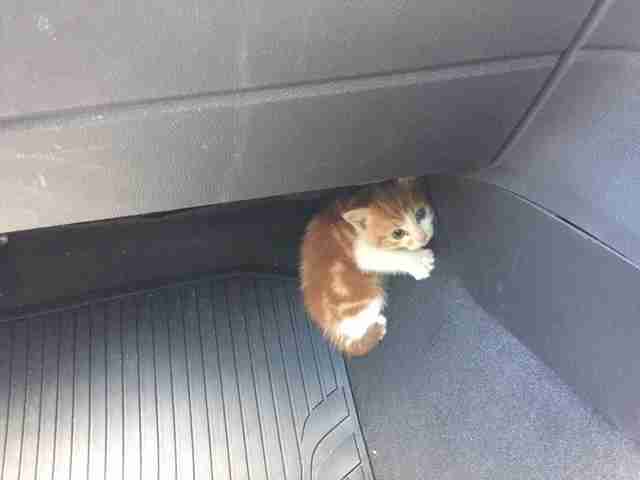 This was the case for police in Auckland, New Zealand, last week when they got a call that a “small orange and white ball of fluff” was trying its hardest to cause accidents on the Southwestern Motorway. Police rushed to the scene and soon found the cause of the disruption: a tiny kitten huddled against a concrete barrier. Now trapped on a small strip in the center of the freeway, the police had no choice but to temporarily close the entire highway down. This extra precaution proved to be the right decision, and they were able to wrangle the kitten and bring her to safety soon after. But like any rambunctious kitten would, she wasn’t finished causing trouble. 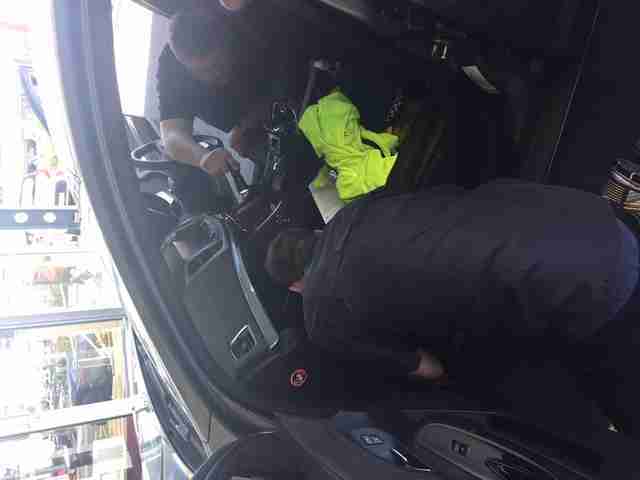 After one officer put her into his patrol car, he made a quick phone call before pulling away. 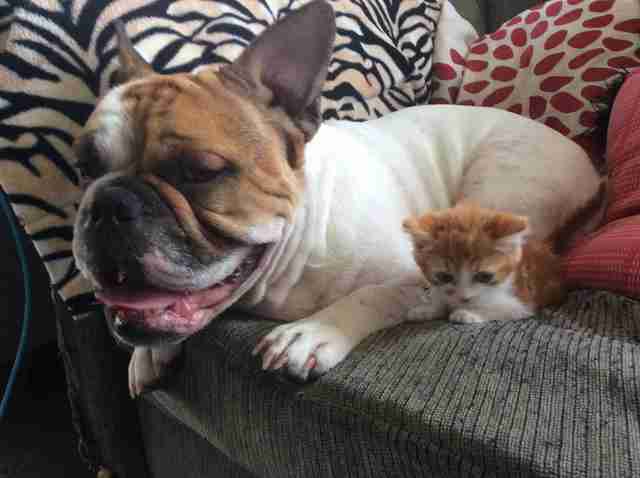 That’s when he noticed the kitten wasn’t anywhere in sight. Somehow, the kitten had squeezed herself up into the dashboard — so off they went to a local mechanic to rescue her for the second time in one day. 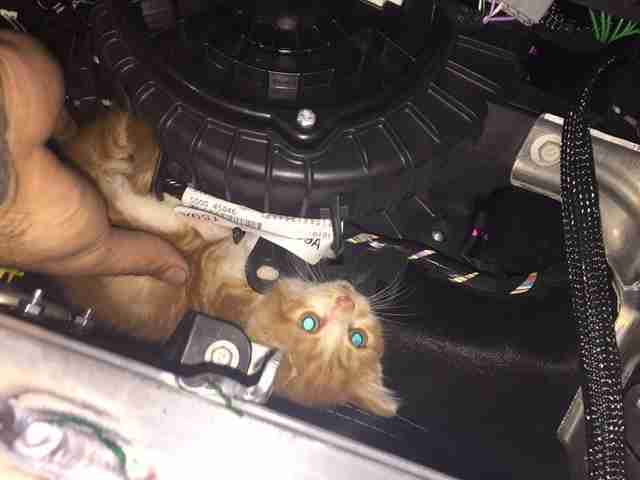 After removing the entire dash from the patrol car, mechanics found the kitten just where they had expected: tucked around a heating fan. 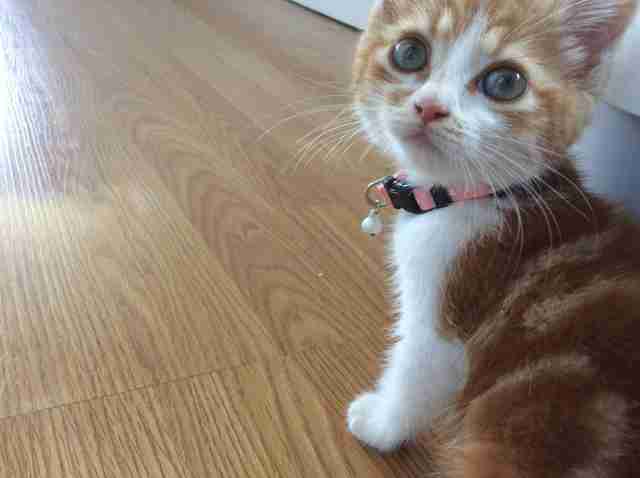 In her third stroke of luck for the week, it wasn’t long until the tiny kitten landed herself a forever home after the whole ordeal. The dispatcher who took the original 911 call about the cat, a woman named Glenda, decided the kitten would make the perfect addition to her family. While Winky arrived with fleas and cat flu from her former life as a stray, she is doing well on antibiotics and is expected to make a full recovery. And, just as intended, Dobby and Winky are becoming the best of friends.